The Solar wind Magnetosphere Ionosphere Link Explorer, Smile, has been given the green light for implementation by ESA’s Science Programme Committee. The announcement clears the way for full development of this new mission to explore the Sun-Earth connection, which will be conducted in collaboration with China. Smile is expected to revolutionise scientists’ understanding of the physical processes taking place during the continuous interaction between particles in the solar wind and Earth’s magnetic shield – the magnetosphere. The mission will be a major scientific endeavour in collaboration between ESA and China, following on from the success of the Double Star / Tan Ce mission which flew between 2003 and 2008. Unlike Double Star, which started out as a China-only project, Smile is envisaged from the start as a joint ESA-China mission. The scientific collaboration began with two workshops – one held in China, one in Europe – that were held to facilitate collaboration between Chinese- and European-based researchers. This was followed by a joint call for proposals that was issued in January 2015 by ESA’s Directorate of Science and Robotic Exploration and the Chinese Academy of Sciences (CAS). Following selection in November 2015, detailed studies by ESA, CAS, three European industrial contractors and the Science Study Team have finalised the mission architecture, including the space and ground elements that are required to fulfil the science requirements. Under current plans, the 2200 kg spacecraft will be launched by a European Vega-C rocket or Ariane 6-2 in 2023, and subsequently be placed in a highly inclined elliptical orbit around Earth. Every 51 hours, Smile will fly out to 121 000 km – almost one third of the distance to the Moon – giving it a prolonged view of Earth’s northern polar regions. It will then return to within 5000 km of the planet in order to download its treasure trove of stored data to an ESA ground station in Antarctica and the CAS ground station in Sanya, China. From this unusually elongated orbit, the satellite will be able to make continual observations of key regions in near-Earth space over a period lasting more than 40 hours. 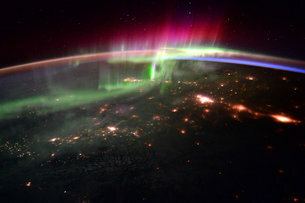 These will include simultaneous images and movies of the magnetopause – the boundary where Earth’s magnetosphere meets the solar wind – as well as the polar cusps, and the region illuminated by the Northern Lights, or aurora borealis. Smile will offer scientists the chance to observe these key regions of Sun-Earth interaction for such long periods of time for the first time. The prime mission will last three years. The science payload consists of four instruments: two from Europe and Canada, and two from China. The innovative wide-field Soft X-ray Imager (SXI), provided by the United Kingdom Space Agency and other European institutions, will obtain unique measurements of the regions where the solar wind impacts the magnetosphere. The Canada-led Ultra-Violet Imager (UVI) will study global distribution of the auroras. The two Chinese instruments, the Light Ion Analyser (LIA) and Magnetometer (MAG), will measure the energetic particles in the solar wind and changes in the local magnetic field. ESA is also responsible for the payload module, spacecraft test facilities, launcher, launch campaign, the primary ground station; ESA will share science operations with CAS. A contract for industry to build the payload module will be announced in due course, and all spacecraft assembly and test activities will take place in Europe. The National Space Science Center (NSSC/CAS) in China is responsible for the spacecraft platform, spacecraft testing, and mission and science operations. The platform will be built in Shanghai by the Innovation Academy for Microsatellites (IAMC/CAS). 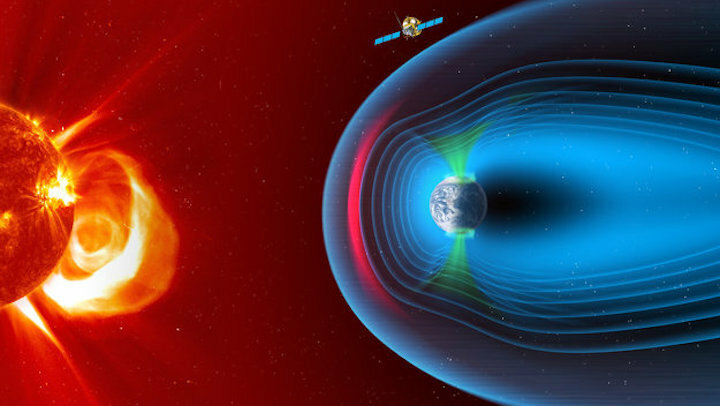 According to ESA’s Smile study scientist, Philippe Escoubet, the mission will enable important breakthroughs in studies of the ever-changing interaction between Earth’s magnetic field and the solar wind.